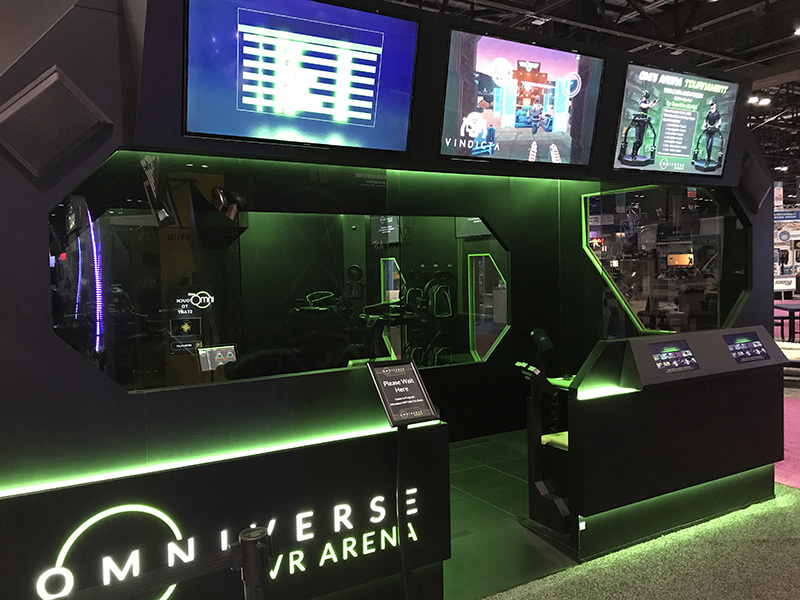 We successfully unveiled our highly anticipated VR ARENA esports attraction at the IAAPA Attractions Expo in Orlando from November 13 to 16, together with our partner Funovation. 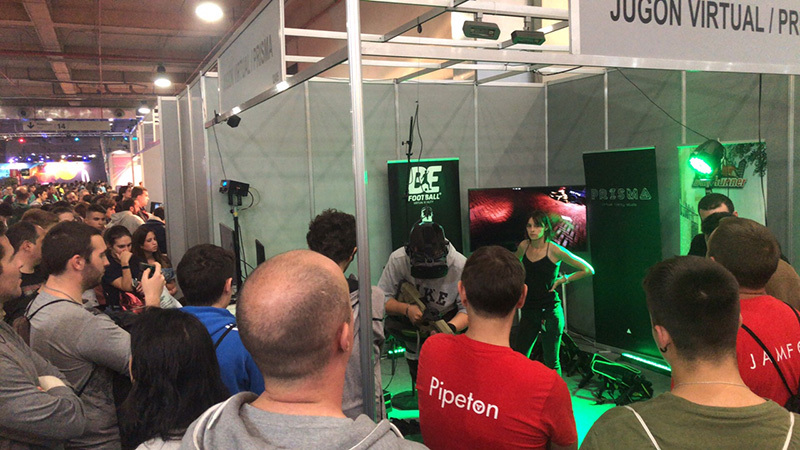 More than 350 attendees signed up for a VIP demo of VR ARENA before the show even started. 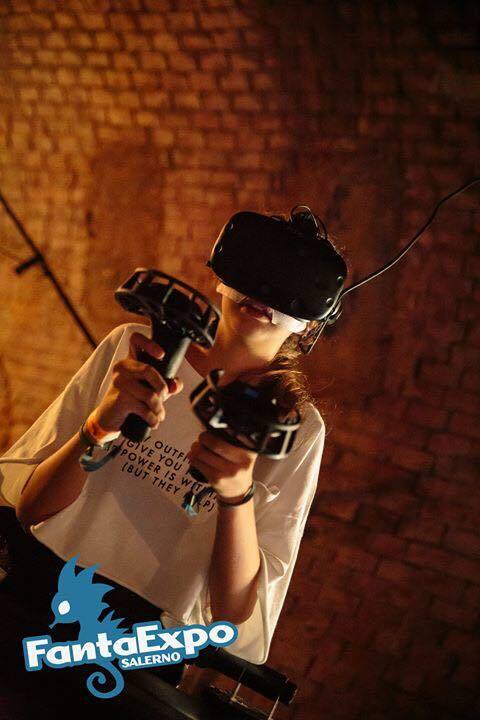 The attraction was met with such enthusiasm and demand that we had to turn guests away after the first day! 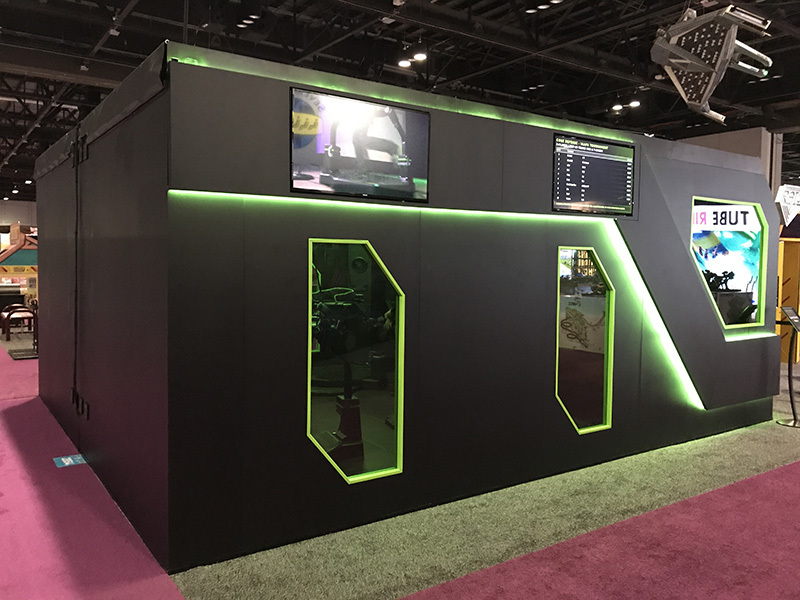 Our team is returning from IAAPA with a big book of orders and a clear mission for 2019: ship and install this new attraction at our customer sites at a rapid pace, starting in Q1 of next year. 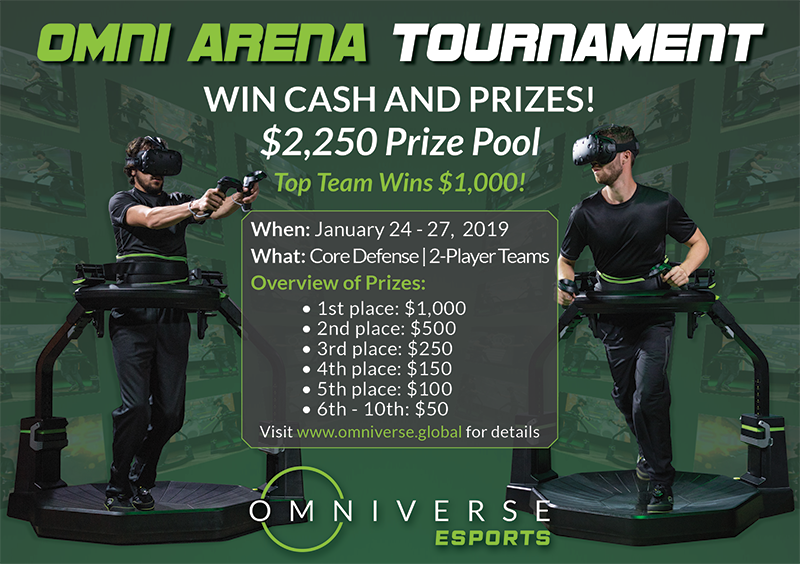 VR ARENA features four Omni 2.0 motion platforms and brings esports out-of-home, giving anyone who plays a chance to win in ongoing weekly and monthly prize contests with an annual prize pool of $50,000. 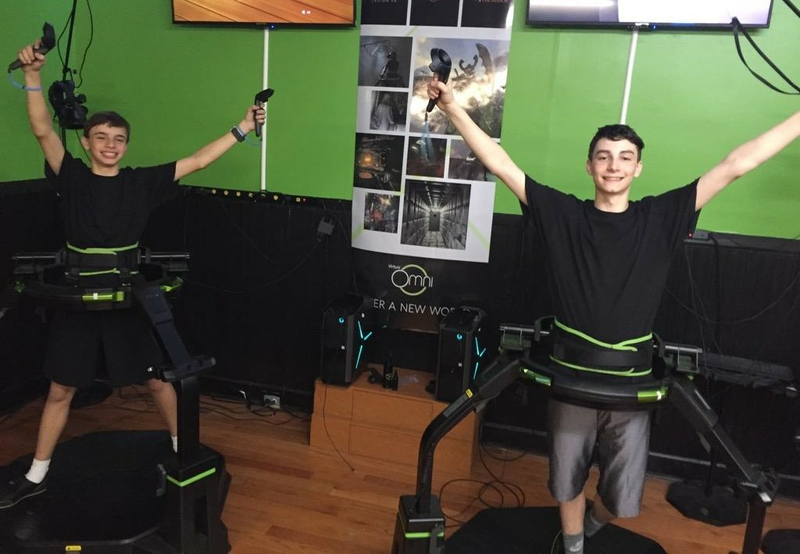 Its key features include an automated staging area for quick player setup and minimal attendant labor, mini-games to facilitate social interactions between players during setup, social sharing stations to share gameplay footage after playing, and a queuing app to eliminate wait lines and boost utilization. We received some glowing press coverage of our release. 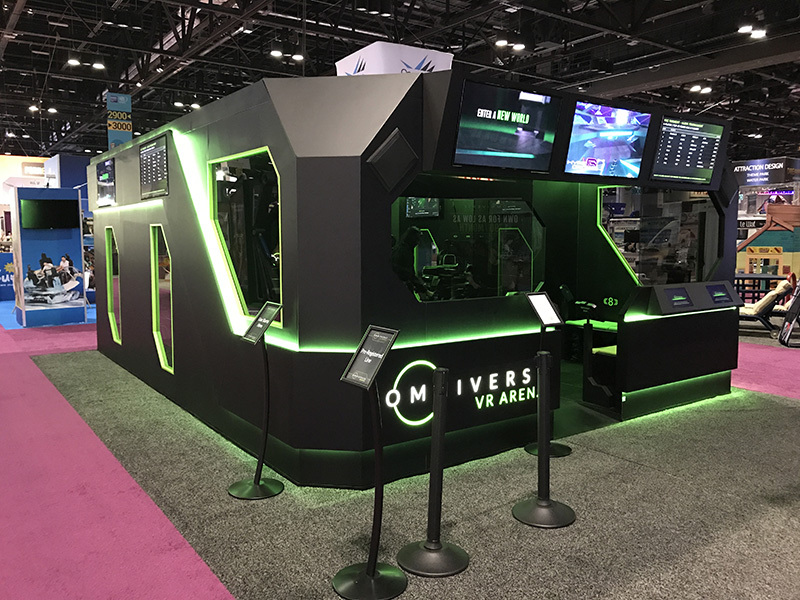 Forbes names VR ARENA as one of the key stories of IAAPA 2018. 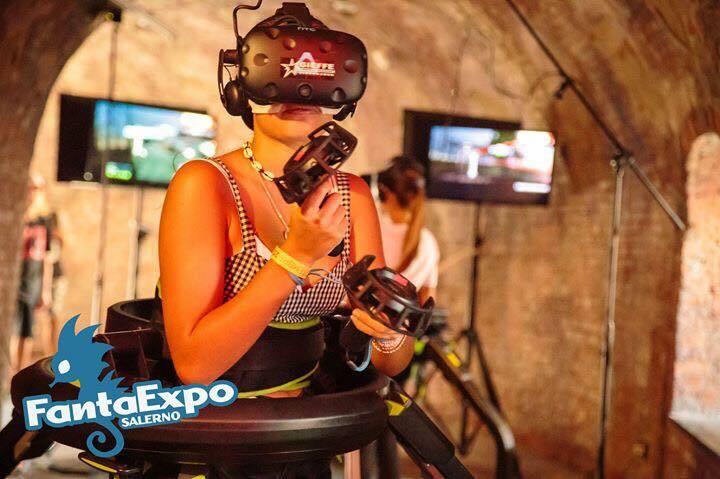 Upload VR includes it as one of the 10 biggest insights of IAAPA 2018. 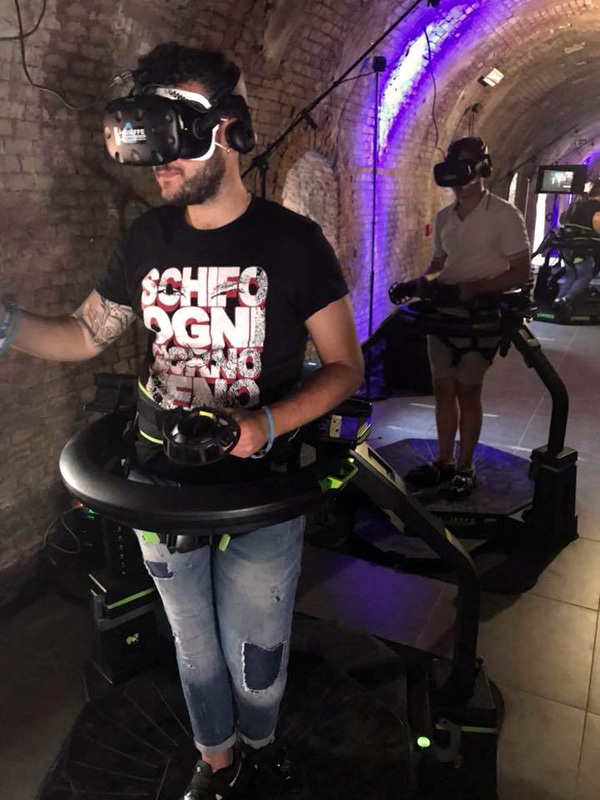 Other notable press coverage includes reports by Blooloop, Global Amusements & Play, Intergame, VentureBeat, Vending Times, VR Focus, VR Fitness Insider, and VR Scout. We also gained a prominent spot in Bob Cooney’s IAAPA review, which you can watch here. 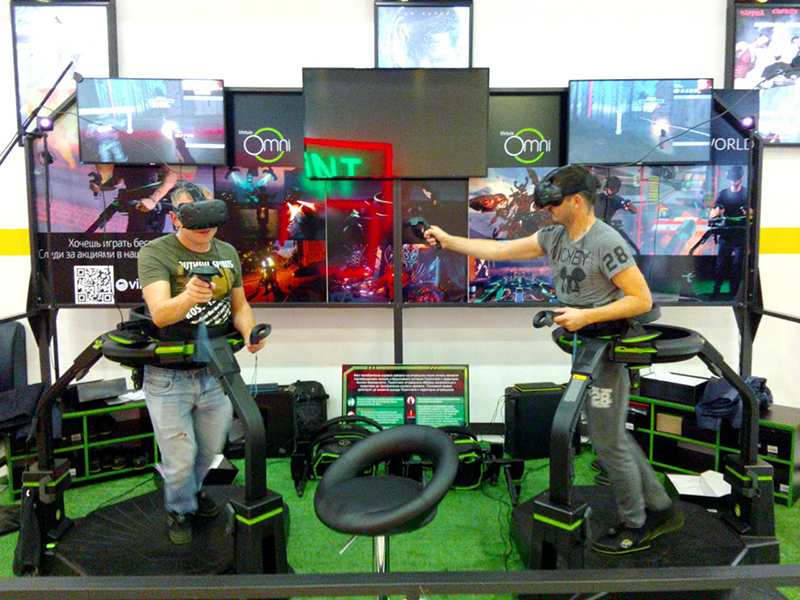 For more information about Omniverse VR ARENA, click here. 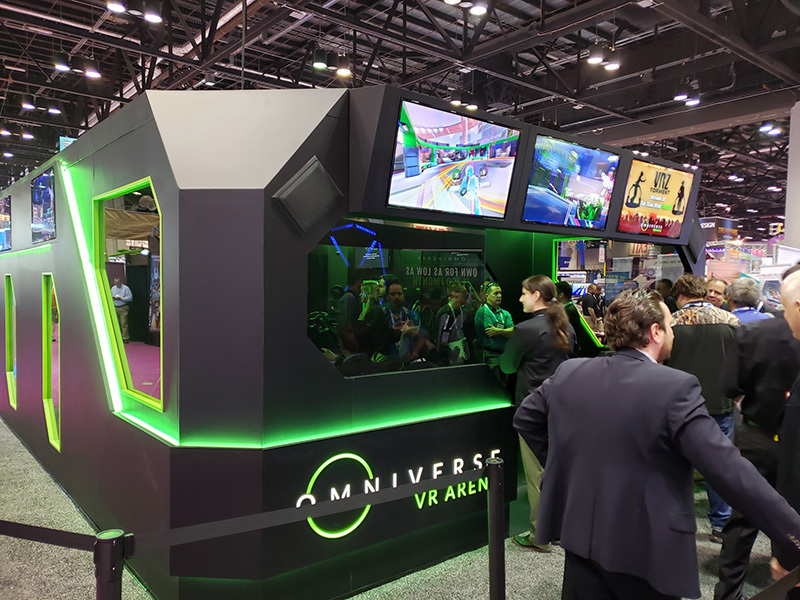 We held our second Omniverse ESPORTS™ tournament during the IAAPA show. 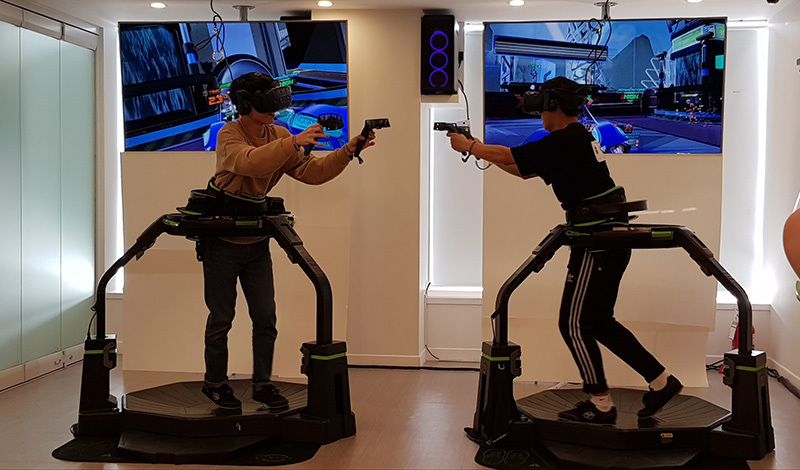 Two-player teams battled for the highest score in our popular first-person shooter game Omni Arena (“Core Defense – Metropolis” cooperative mode). 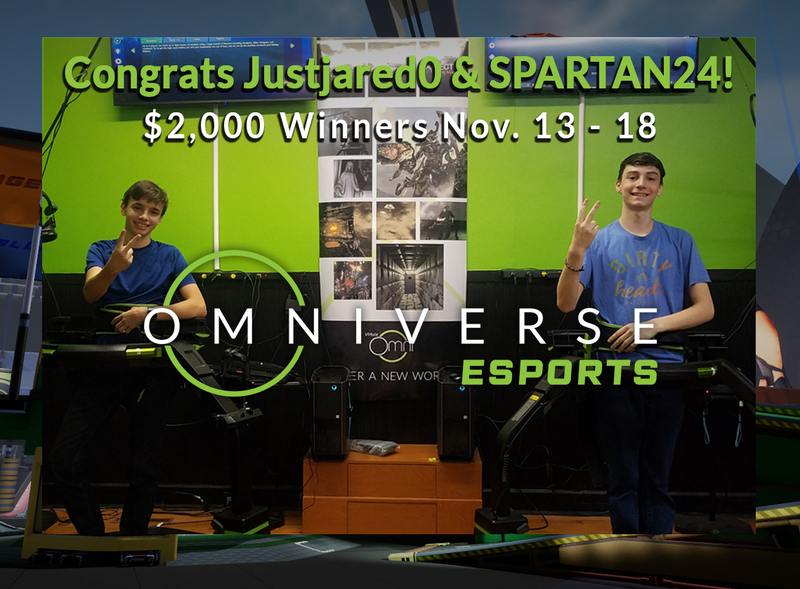 JustJared0 and Spartan24 won 1st place and took home $2,000! We are seeing strong results with our esports contests so far! In our November contest, the top-20 teams played the contest game on average 6 times, and the top-10 teams 7 times. 60% of November participants were returning players from our October contest. We are starting to see how these contests can truly drive repeat play and thus higher revenues for the participating venues! 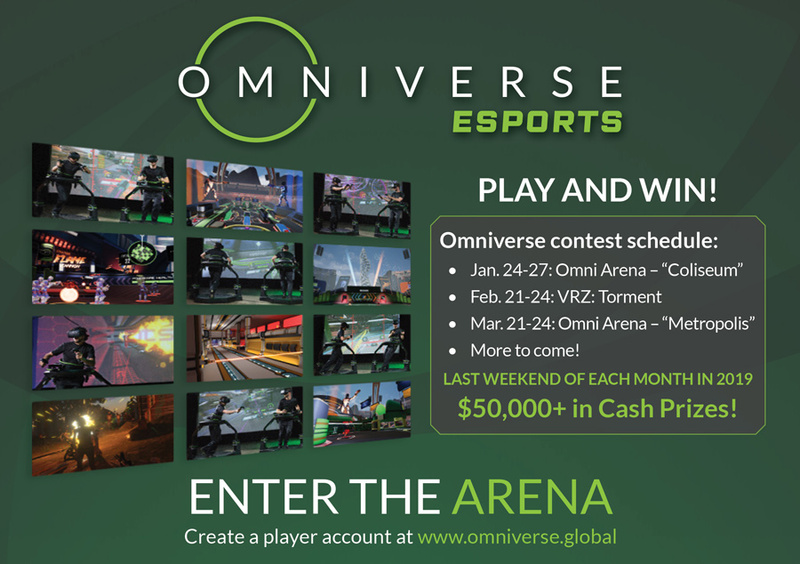 Omni operators can sign up here to participate in contests and learn about running them here. Interested players can find more information and create a player account here. Each month we highlight interesting news from our commercial operators and noteworthy openings of new Omni sites. 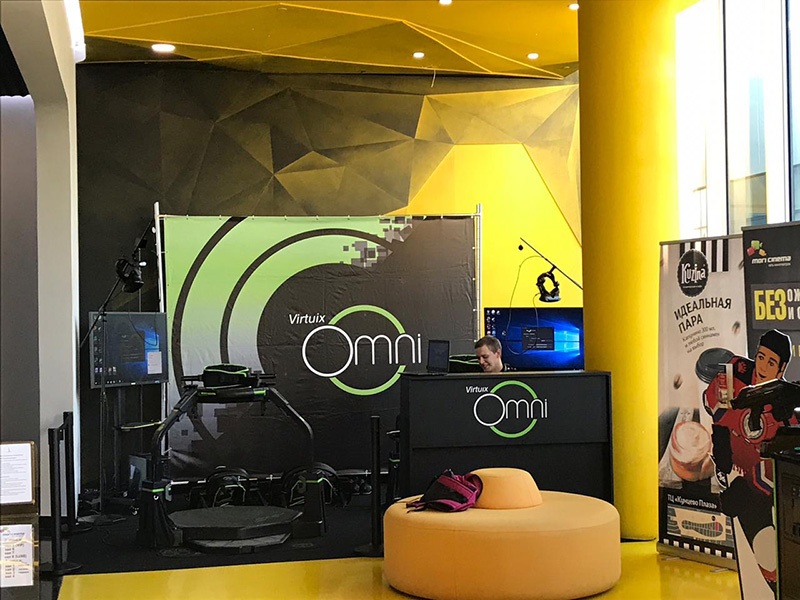 Our South Korean distributor, Lee & Parks, organized their own Omni Arena esports championship in Seoul last month. 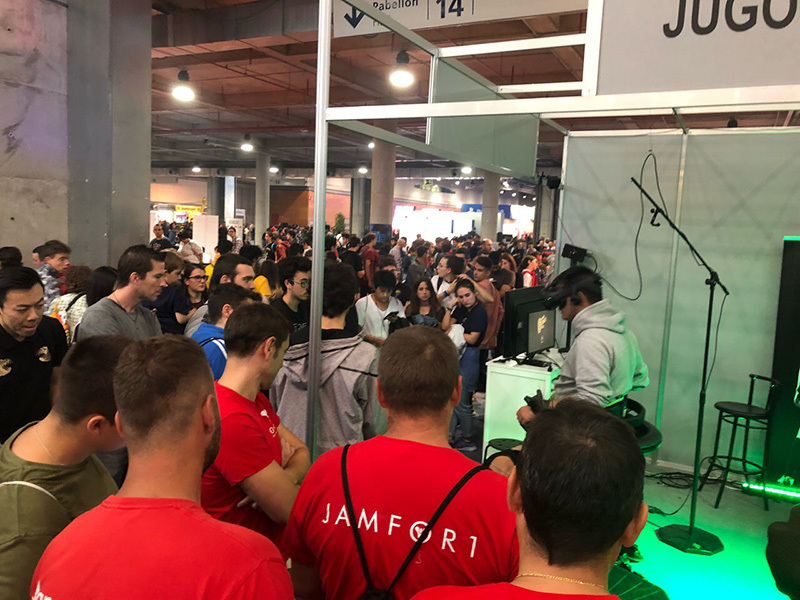 Finally, our game development partner in Spain, Prisma VR, showcased their “Bull Runner” game to large crowds at the Madrid Games Week.